The Week in Reviews, Op. 57: The Atlanta Symphony is Back! David Coucheron performed Mozart's Violin Concerto No. 5 with the Atlanta Symphony Orchestra in the orchestra's first concert back after its board locked it out. Atlanta Journal Constitution: "There was a joyful reunion of audience and performer Thursday night as the Atlanta Symphony Orchestra played its long-delayed first concert of the new season to an ecstatic sold-out crowd...The challenges of the evening seemed to bring out the best in the performers, including Coucheron." ArtsATL: "The audience exploded wildly into a thunderous standing ovation for the musicians as the orchestra took the stage together, then kicked off the concert with “The Star Spangled Banner,” the long-standing tradition of opening-night performances. The capacity audience boldly joined in singing what seemed not only the National Anthem, but also a fervent statement by the people assembled in support of the ASO musicians and their return to Symphony Hall....Coucheron’s sound is not exceptionally large but is a sweetly focused one that suits Mozart’s concerto well. He was tasteful and introspective with the cadenzas, choosing to play those by Joseph Joachim, which had sufficient elements of velocity but left Coucheron much room for thoughtful playing." Augustin Hadelich performed the Mendelssohn with the Seattle Symphony. Seattle Times: "Eloquent and unforced, Hadelich’s violin lines were shaped by a technique as fine as anything you’ll hear on today’s concert stages." Hilary Hahn performed the Beethoven with the Luxembourg Philharmonic after a four-month injury absence from performing. Mittelbayerische: the review (in German) praises her elegance, bow arm and musical poetry. Nicola Benedetti performed Shostakovich's Violin Concerto No. 1 with the Royal Scottish National Orchestra. The Scotsman: "From Benedetti, there was a delicious stillness and introspection in the opening Nocturne; demonic brilliance in the Scherzo; deep, penetrating conviction of the focal Passacaglia and electrifying bravado in the burlesque finale. Peter Oundjian’s RSNO went all the way with her." The Courier: "Thursday night’s performance of Shostakovich’s first violin concerto surpassed anything I’ve heard her perform before – and that takes some doing!" 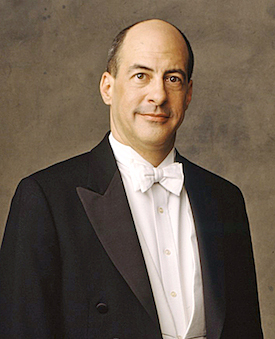 Tasmin Little performed the Korngold with Vancouver Symphony Orchestra. Straight.com: "British violinist Tasmin Little scored a respectable triple with the VSO, but failed to bring home the run." Jennifer Koh performed the Sibelius with the Waco Symphony Orchestra. Waco Tribune-Herald: "Koh, the evening’s guest artist, showed a stunning sense of line in her performance of the Sibelius Violin Concerto, seamlessly connecting a singing tone, double-stop play that at times felt like two musical voices and an intensity that had her shaking her head and stamping her foot." Renaud Capucon performed Mozart's Violin Concerto No. 3 with the Singapore Symphony Orchestra. The Straits Times: "Capucon's more sparing use of vibrato and a novel, almost avant garde cadenza made it memorable." Joshua Bell performed the Glazunov with the New York Philharmonic. The New York Times: "Joshua Bell, usually a charismatic performer with an effortless technique and sweet tone, seemed less at ease than usual both technically and musically." ConcertoNet: "...this is the kind of music in which Joshua Bell excels. Starting off after a half-measure from the orchestra, Mr. Bell–almost as youthful looking as the conductor–gave an almost nonchalant opening, eschewing whatever “Russian-ness” Glazunov half-heartedly inserted. Once he came to the cadenza, at the end of these two joined movements, he was in his element. Some fiddlers get their thrills by making a cadenza like this seem difficult. Joshua Bell tossed it off, like he was playing scales." Simone Lamsma performed Prokofiev's Second Violin Concerto with the St. Paul Chamber Orchestra. 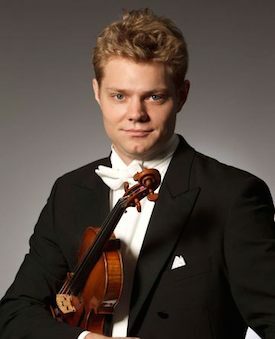 The Pioneer Press: "Dutch violinist Simone Lamsma delivered an involving interpretation of Prokofiev's Second Violin Concerto with the SPCO, lending it haunting lyricism and folksy fury, but also finding an oasis of calm at its center." Lu Siqing performed the Butterfly Lovers Violin Concerto with the National Centre for the Performing Arts Orchestra. Montreal Gazette: "The work is a bit predictable and it extravagantly repeats its famous theme, but violinist Lu Siqing livened it with an intelligent and unexaggerated performance. His cool tone survived a blistering Paganini encore, (Sonata in A) but he retained some old school poise even through that catalogue of virtuoso tricks." Congratulations to Danielle Belen, who was named one of three recipients of the 4th annual Sphinx Medals of Excellence, awarded to artists of color who demonstrate artistic excellence, outstanding work ethic, a spirit of determination, and great potential for leadership. (Other recipients were soprano Janai Brugger and flutist Demarre McGill.) Each will receive Medals of Excellence and a $50,000 Artist Grant at a luncheon in Washington, D.C. on March 18, 2015. Danielle, winner of the 2008 Sphinx Competition, recently became Professor of Violin at the University of Michigan. She also Artistic Director and founder of Center Stage Strings summer camp and festival. Thanks for these review summaries - I particularly appreciate reading both the good and bad. Tasmin Little can take heart -- it's harder to hit a triple.